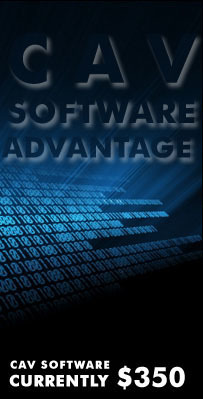 CAVTEC software (v1.0) is now available. CAV provides you with easy-to-use tools and research at hand to thoroughly and accurately assess and value your intellectual property. At $350 per seat, CAVTEC is a cost-effective and neutral alternative to valuation consultations. For volume or departmental discounts, please contact us at info@cavtectools.com. Step1: Select the download option below and a registration key will be emailed to you. Step2: Go to the download page and download the CAV software. You must enter the emailed registration key the first time you run CAV. The CAV Software requires a computer running the Windows operating system (XP, Vista or Windows 7).